A story in the March 26 Indianapolis Star about existing home sales caught my attention. 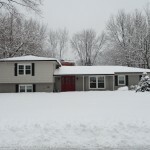 We are seeing positive signs in the Indianapolis area housing market. According to the Metropolitan Indianapolis Board of REALTORS® (MIBOR), existing home sales for February 2013 are up 28% compared to a year ago February and six percent over January 2013. Coupled with the increase in sales, the F.C. Tucker Company Market Watch reports that housing inventory in the 9 county region (Boone, Hamilton, Hancock, Hendricks, Johnson, Madison, Marion, Morgan, Shelby), was down 15.3% in February. So if you’ve been waiting for the housing market to improve before putting your home on the market, now might be a good time to start thinking about what you need to do to get your house ready for sale. It’s amazing what a fresh coat of paint can do to improve your home’s appeal to prospective buyers. On the interior, as a good general rule, you want to keep things neutral. You might like that red accent wall as soon as you walk through the front door, but potential buyers of your house may not. You do not have to paint the whole room, but getting the red out would be a good call. Touching up the few battered and worn areas that all houses seem to get on certain doors and walls will go a long way to making your whole interior look good, and show better to potential buyers. A good Realtor® can offer other tips on preparing your home for listing. Greg Mrakich Painting is an EPA lead-safe certified firm located in Indianapolis, Indiana. Every year since 2007, he has received the Angies List Super Service Award for Interior Painting. If you have questions for Greg Mrakich or would like to schedule an estimate for your exterior or interior painting projects, click here. Posted on Wednesday, March 27th, 2013 at 6:28 am	under Exterior Painting, Indianapolis Painting Contractor, Interior Painting, painting, Painting for do-it-yourselfers, Uncategorized. Follow any responses through the RSS 2.0 feed. You can leave a response, or trackback from your own site.